How lucky we are to be based in such a lively place as Croydon. Many people ask us what there is to do here so we thought we’d put together a short article outlining some of our favourite haunts. That being said, there really is so much to do in Croydon that we’re bound to leave some things out that you may think should be in. If we do, we apologise, but we’ll do our best to give you an overview of what’s available if you ever find yourself in this part of South London. First things first, Croydon has some of the best eateries outside of Central London. The range of food here is amazing, and you can pretty much pick up any world cuisine you can think of while you are here. Among our favourites, however, is McDermott’s. Yes, it may be just a fish and chip shop (and an expensive one at that) but don’t knock it until you’ve tried it – it is outstanding. Another gem is Bagatti’s. Italian food at its absolute finest is served here by some of the friendliest people you’re ever likely to meet. The incredible atmosphere makes this the perfect night out whether you are with family or friends. A must-visit, in our opinion. For lunch, we love to get our hands dirty with a little bit of street food sustenance. Surrey Street Market is where we head for most of the week, but Thursday’s World Food Market at Ruskin Square will often drag us away. If this really isn’t your thing (or if it’s raining), give Matthew’s Yard a try. Truly great food served up in a chic café atmosphere. Nice! Away from the restaurant trade, Croydon is also well catered for in other forms of nightlife, too. 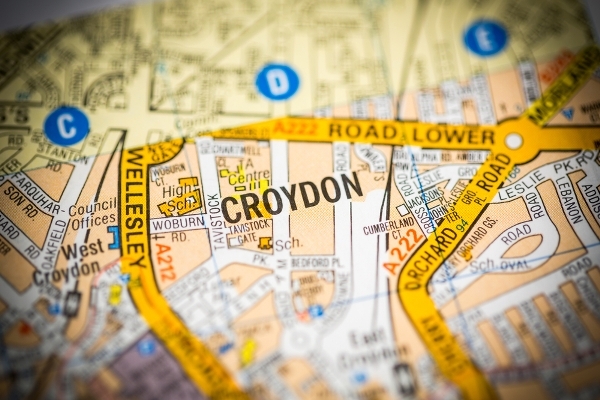 Bars, pubs, clubs and music venues abound in Croydon, so there really is no need to travel into the centre of London unless you really want to see something specific that isn’t being shown locally. Places like Club 88 give you the opportunity to dig the dancing shoes out, while The Edge is always worth a look when it comes to great live music sets. Comedy and theatre are also well represented here and there’s always a great selection of films showing at the Croydon Vue cinema. Retail has always been big in Croydon, and it still is, but the majority of residents here are waiting with bated breath for the arrival of the next big thing – the Westfield and Hammerson Shopping Centre. This new development, which is taking the place of the old, and frankly tired, Whitgift Shopping Centre, is causing quite a stir locally and with £1.4 billion being invested into it, it’s really no surprise that that is the case! While we wait for the 2020/2021 completion date to roll around, there are plenty of other retail options available to us here in Croydon. The Centrale is still one of the largest covered shopping malls in the capital and is also part of the plans laid out by the new Westfield and Hammerson partnership. Many big name retailers can be found here, including NEXT, Miss Selfridge, Debenhams, Boots and House of Frazer, so there’s no shortage of shops to keep us busy here. One of the best things about Croydon is the fact that, despite the extremely busy atmosphere across the town centre, you can still find peace and tranquillity in places such as Coombe Wood. Coombe Wood is an amazing place to visit and the gardens are a sight for sore eyes after spending too much time in amongst the concrete and metal that is synonymous with inner-city life. Access to the park can be made by tram which is extremely convenient and a great way to travel if you’ve never experienced it before. Another way to while away the hours in the great outdoors is to grab the clubs and head for the local golf course. We’re pretty lucky here in that regard, too, with Addington, Selsden Park, Purley Downs and Coulsden Manor all within easy reach. Well, that little lot should keep you busy next time you are in Croydon. Whatever you decide to do while you are here, we hope that you enjoy your stay in what is fast becoming one of the best parts of London.